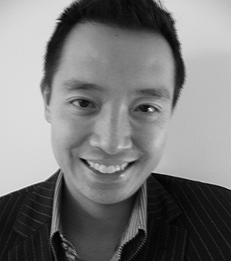 Andrew Kim joined NYU Stern School of Business as an Adjunct Associate Professor in 2004. Professor Kim joined The Weinstein Company, a film and multi-media company founded by brothers Bob and Harvey Weinstein, at its inception on October 1, 2005. As Chief Financial Officer, he oversees all financial and strategic planning and analysis for The Weinstein Company. Responsibilities include planning and budgeting, financial analysis, business and corporate development, investor relations and financial reporting. Professor Kim began his career in the media industry in 1997 with Miramax Films (a subsidiary of the Walt Disney Company), where he was last Senior Vice President of Finance. Prior to Miramax, he served as Assistant Vice President at Marsh & McLennan Companies. Professor Kim holds a B.S. from Georgetown University and an M.B.A. from NYU Stern. Professor Kim's fields of expertise include traditional finance, finance applications in film and entertainment, and media businesses. He currently teaches "The Business of Music and Film (graduate)" and "Entertainment Finance (undergraduate)," courses.